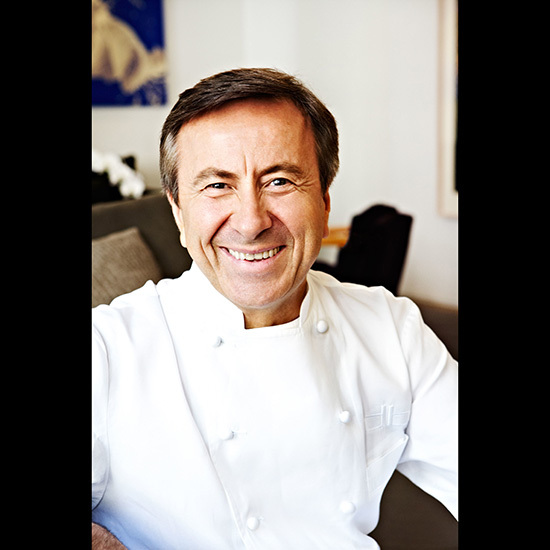 Chef superstar Daniel Boulud shows off his prized duck press for this week's Treasured: Daniel Boulud. Here, he shares four tips for making delicious sauce. Chef superstar Daniel Boulud shows off his prized duck press for this week's Treasured: Daniel Boulud. It's used to extract juices that are then used in a sauce. "Sauce is certainly ancestral to French cooking. The technique is very tricky, but it's also very fundamental. There are many ways to create thickness and texture in a sauce that are more delicate, healthy and powerful [than just butter]." Here, he shares four tips for making French sauces. 1. Begin with an exceptional reduction. 2. Cook it slowly so that it simmers gently. 3. Season carefully from the start. You don't want to start your sauce without salt and pepper or other seasoning, but you also don't want to season it too much at the beginning. You must start with a little bit so there is a base and balance—but not too much! 4. Decide if you want to reduce it or if you want to thicken it. Today, we sometimes thicken sauce with vegetables. It's not good to thicken sauce with too much butter because it can cause heaviness. You don't want to avoid butter, but you also don't want to put too much—add it slowly. Of course, it all depends on what kind of sauce you are making!